There are a lot of things you can do with your money. But no matter what you spend it on, you're hoping those things make you happy. And when you look at it like that, buying a full-size sleeping bag in the shape of a fried shrimp is a damn fine investment. The strange online store Felissimo understands your needs and is offering exactly that. 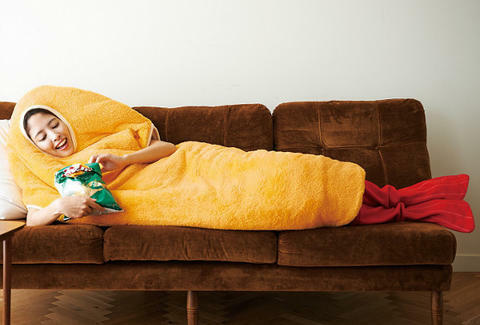 They've released a "Fried Shrimp Wearable Sleeping Bag," which is exactly what it sounds like. Despite seeming like a pretty specific thing, it's got some versatility. Tuck your arms in and be a fried prawn! Have your arms on the outside and be a fried prawn with arms! Paint your face red and kind of, maybe look like a disgusting hot dog! The pictures make it look like it does exactly what it should. Look at her! She's so happy! For just $82.36 (8,424 yen) you can have that same kind of happiness. On the other hand, their promotional video makes it look like things can get a little sad. 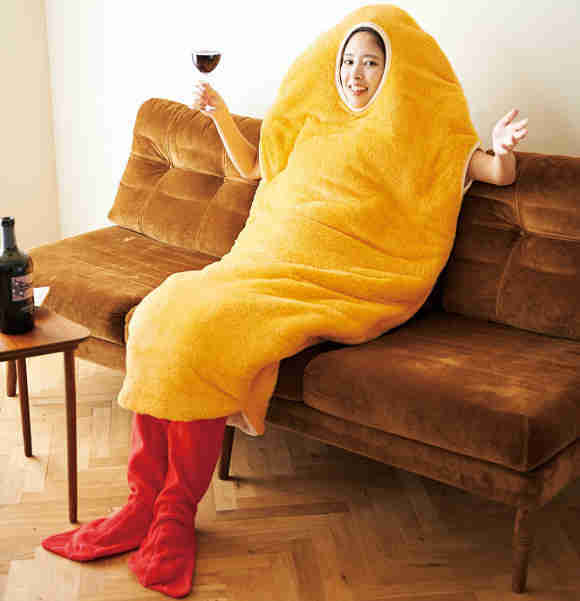 Watch below as a woman in a tempura sleeping bag vacuums her studio apartment quietly and sullenly eats tempura while dressed like her food. It kind of makes the sleeping bag look like it will make your friends and family worry about you. These joyfully morose sleeping bag costumes are scheduled to start shipping to the tempura of tomorrow sometime in October.